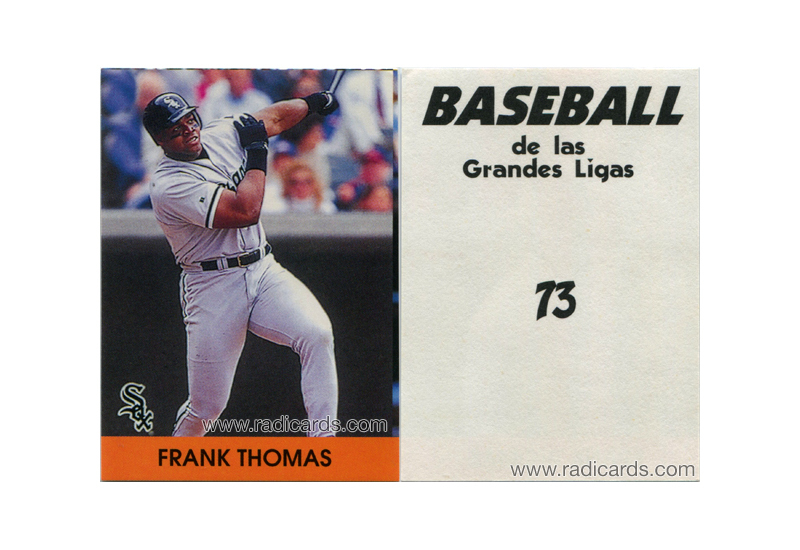 There's an interesting story behind how I acquired this 2000 Venezuelan Stickers Frank Thomas card. Sometimes, I'll look at a card in my collection and be reminded of a vivid experience. This is certainly one of those times. I've enjoyed many highly undesirable encounters with the USPS. From lost, to stolen, to misdelivered, my mail has been irresponsibly scattered all over the place throughout the years. Over 500 million pieces of mail are processed through the USPS each day so statistically some amount of delivery variance is expected. I can understand that but no matter how many pieces of mail are delivered, it's no justification for poor service. Back when I acquired this card in February 2012, I was working full time and the PO closed at 5p. I was given a pink slip but I couldn't get to the PO to retrieve my mail by 5p. My schedule just wouldn't allow it and I had other obligations on Saturdays for a few weeks and figured I'd get to it on one of my upcoming free Saturdays. Well, as it turns out, my mail was returned to the sender after weeks of it going unclaimed. This was news to me. I always thought I could get it whenever it was convenient for me. This was my fault. When the sender sent the mail back to me, I again received a pink slip. I signed and placed the pink slip back into my mailbox. This would be the first and last time I try my luck at this strategy. I waited and waited and waited some more. Days passed, then weeks. Then I took another trip to the PO to inquire what happened with my pink slip and ultimately my mail. No solid answers were provided. I was left in shock by the poor service. This was their fault. I reached out to the sender a second time and discovered that my mail was returned again. The sender mailed it back to me a third time. I was determined to be successful in retrieving my mail. When I got the third pink slip, I signed it and did the exchange at the PO on a Saturday. This entire process took 6 weeks. I was frustrated but so glad to have finally retrieved my mail. These 2000 Venezuelan Stickers are very scarce. They rarely surface and often times when they do, they're sold directly out of Venezuela. They have slightly smaller dimensions compared to the standard baseball card and depict the same player photo as the 2000 Topps flagship product.